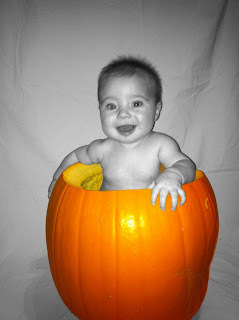 My sweet boy had quite the fall already! We visited the pumpkin patch, took pictures IN a pumpkin and of course had to dress up as a Bear for Bear's first Halloween. 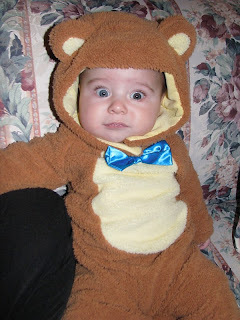 My cute little Bear was not a huge fan of his costume. Part of the problem was the fact that it's really warm & cozy and it was 82 degrees on Halloween. Another issue was the fact that there were about 12 cameras flashing at him the second I got him in the costume. 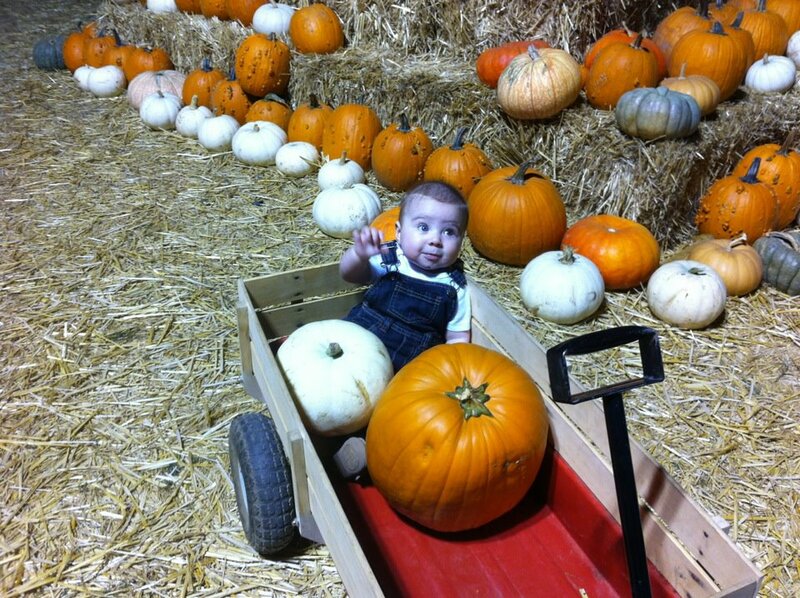 He did love the pumpkin patch! This photo was taken with our iphone so it's not the best quality. 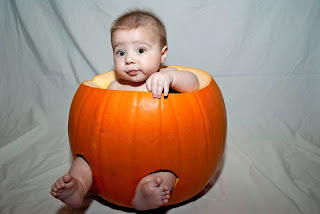 I had seen on Pintrest a cute picture of a baby sitting in a pumpkin and I knew this was the only Halloween that he would fit, so we had to do it. We may have spent a small fortune on a pumpkin big enough to fit our chubby boy & his thighs! :) They seriously made for the cutest photos though! I'm so glad we did it! We had a great first Halloween with our little man and we can't wait for Thanksgiving and Christmas this year. 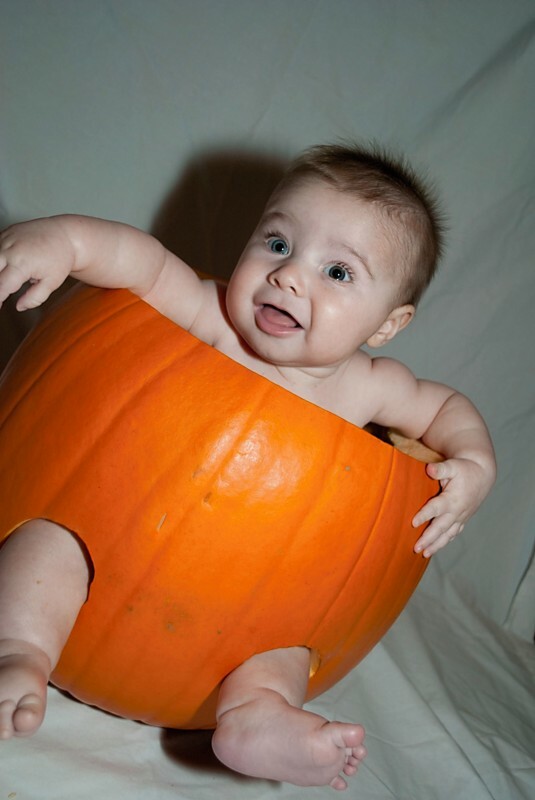 The holidays are so fun to explore with a new little one. 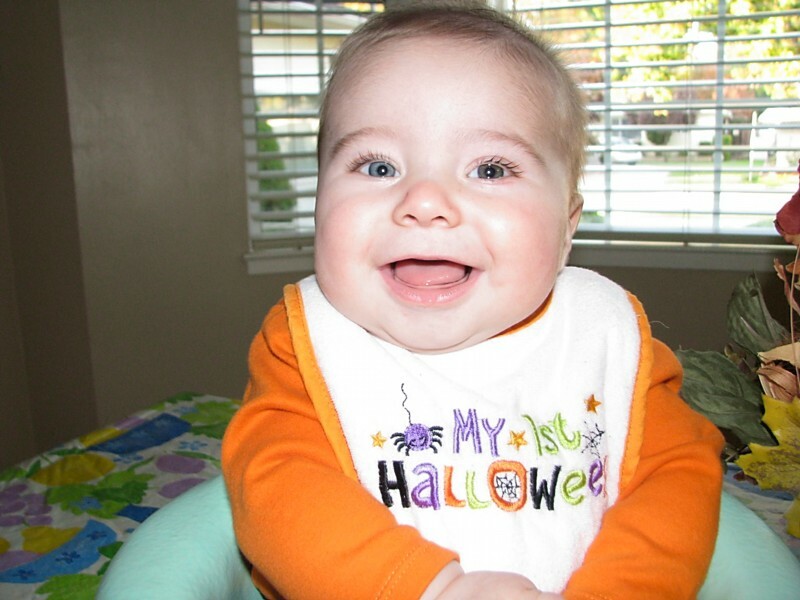 It's been a long time since anyone in our family dressed up for Halloween!